All the Hydroponic system designs are viewable online, but are also downloadable in pdf. To view them in pdf. you need Adobe Reader installed on your computer. We know how hard it is to find a good variety of different free hydroponic system design plans. And it's our goal to provide that for you. If you have built a hydroponic system and would like to pay it forward and share your design plans with others Contact Us. Depending on how you built your system, type of growing media you use in it, and even the type of hydroponic system. You may need short but frequent on/off cycles for the water pump. Cycle timers are designed for that need. There's nothing like growing your own fruits and vegetables in your own Hydroponic Garden. 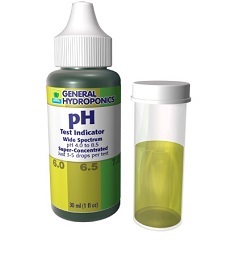 is using the General hydroponics pH drops is simple and easy. There are three basic colors. Orange, Yellow, and Green. Yellow is right in the center of the range for most plants. Orange is the low end, and green is the high end. 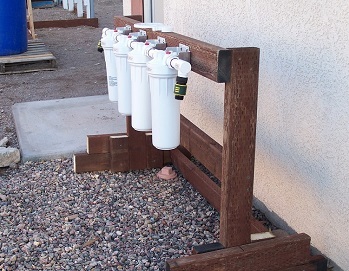 Download these hydroponic system tips in pdf. 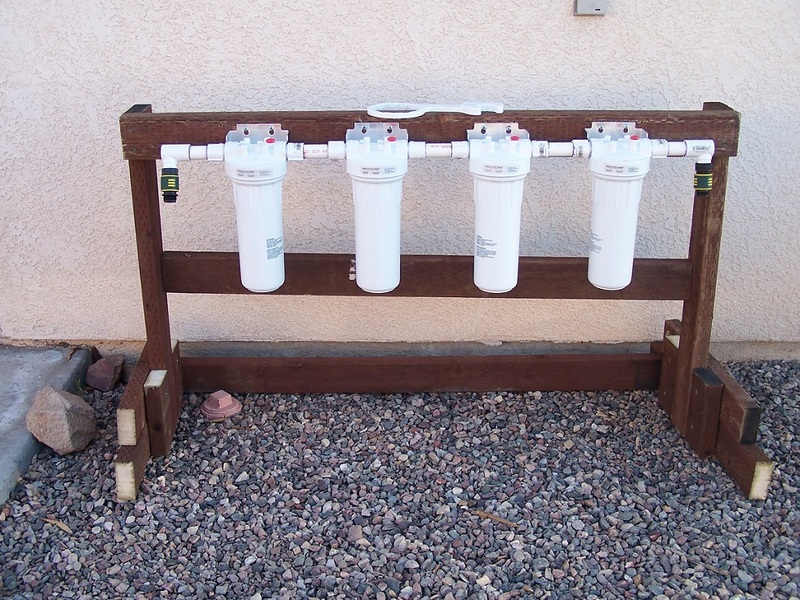 Now that you've built a hydroponic system, you'll surely want to grow plants in it. Though growing plants in a hydroponic system is quite easy to do, there are a few other things you will need besides just a hydroponic system, as well as some things you should know to grow your plants successfully. Here are some things you'll need, and want to know about. The plants can only absorb the nutrients in your hydroponic nutrient solution if the pH of that nutrient solution is within a range the plants can use. If the pH is out of that range, it won't mater how good your nutrient solution is, the plants will still suffer from malnutrition. You should also test pH daily until you are familiar with how it can change. There are many different electronic pH test meters on the market. However good electronic pH test meters expensive and often wind up giving you false readings, even if they are calibrated often and stored properly. 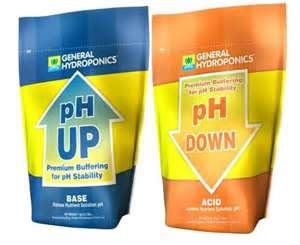 General Hydroponics makes very good pH drops (pictured right). 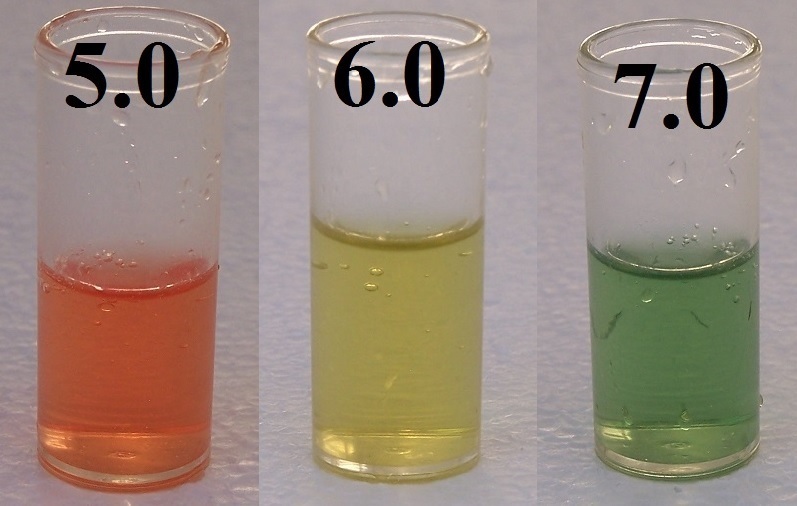 The pH test drops wont give you false readings, they don’t need to be calibrated, you don't need to buy calibration fluid for pH drops, don't need special care to store properly, and only cost between $6 and $8 depending on where you get them. Even of you buy an electronic pH test meter, make sure to have some pH test drops on hand so you can verify the readings your electronic test meter is giving you if there is any question about it's accuracy. Most hydroponic supply stores will want to sell you the electric meters, and do so saying that they are more accurate, or the pH drop kits are hard to read. But the truth is you simply don't need to measure the pH down to the nearest tenth of a point. And they are very easy to read the results. The plants just need to be within a range like 5.5 to 6.5, not down to a specific tenth like 6.2. The drops will last a long time as well, they don't expire. The directions say to fill the vile ½ way and add 3 drops. But if you just fill the vial about ¼ inch and use just one drop, you'll get the same color, and they’ll even last three times longer. Like with the nutrients, liquid pH adjustors are more expensive than the dry adjustors. 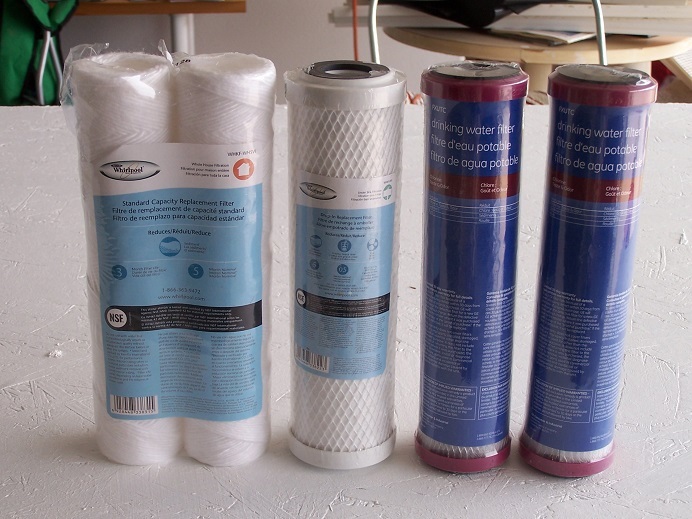 Both General Hydroponics and Earth Juice make very good and inexpensive dry adjustors. A little goes a long way. Depending on how much you grow and the water quality you use, one pound of the dry adjustors will probably last you between 6 months to 2 years. Make sure to get both pH up and pH down, even if you don't think you will need both. There will be times when you over adjust, and you'll need to bring the pH back the other way. 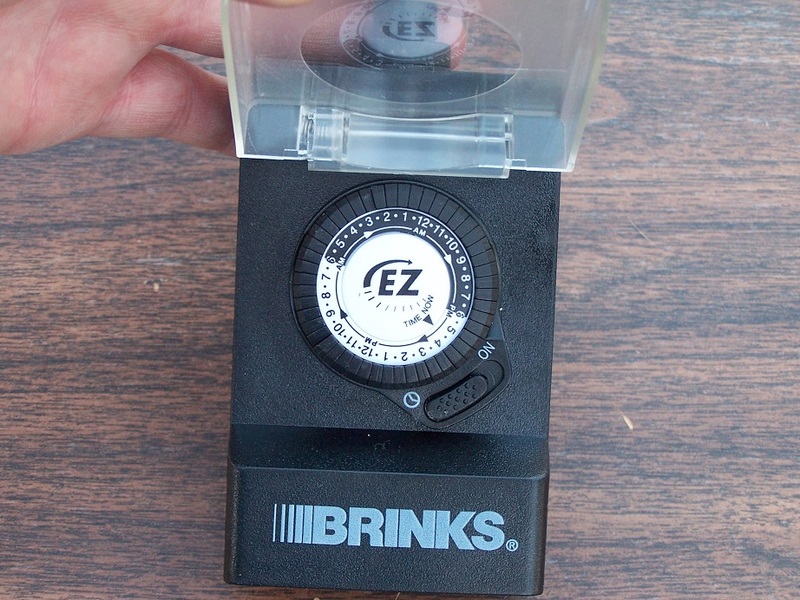 For most hydroponic systems you will need a timer to run the water pump. A general purposes heavy duty (15 amp) light timer works fine. We recommend 15 amp timers because in our experience we have had the 10 amp timers burn out, and the 15 amp timers don't cost but a dollar or so more depending on where you get it. 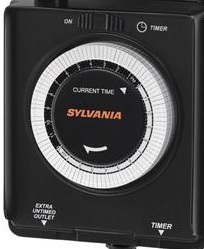 Manufactures generally call timers that can handle 15 amps “heavy duty.” Though it isn’t always necessary, we prefer to use indoor-outdoor timers as well, their grounded and help protect against electrical shorts. Basically their safer to use around water. Also we would recommend using the less expensive dial (mechanical) timers, rather than the more expensive digital timers. Unless your digital timer takes a separate battery to hold memory when the power goes out. It's happened to us in the past when even a short 2 second power outage wipes out any memory in the digital timer, then nothing gets watered, even after the power comes back on. Besides the possible power outage, the same thing happens whenever you unplug it for any reason. Like just taking it into the other room to change the settings. Mechanical timers will just pick right back up when the power is restored, and don’t have memory to loose. Not all timers are the same, make sure the one you get has many settings. Some timers come with only a few pins around the dial. That will severely limit your options for on/off cycles. We wouldn’t even consider a timer unless it has pins all the way around the dial like the one in the picture on the right. Preferably with 15 minute minimum on/off times rather than the more common 30 minute minimums. 30 minute minimum on/off time settings will usually be fine, but 15 minute minimums will give you more flexibility. 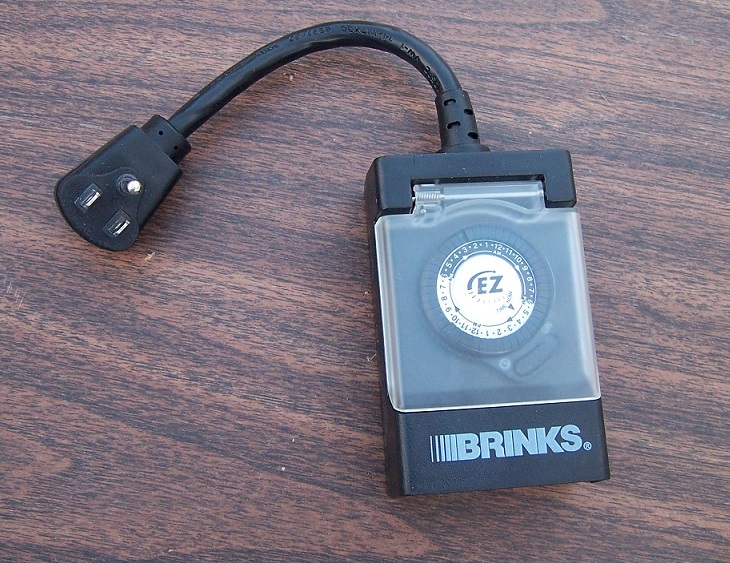 You'll need a pump timer for any Ebb & Flow (Flood and Drain) system, Drip system, Aeroponic system, and sometimes some people use them in NFT systems as well. Water Culture systems use an air pump which is left running 24/7 (so no timer is used in water culture systems), and Wick systems don't use any pumps at all. 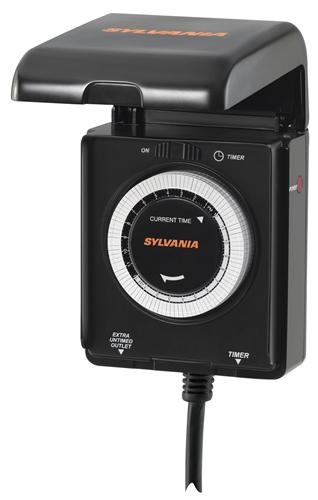 For Ebb & Flow, Drip, and NFT systems the general purposes heavy duty light timers are fine. While NFT systems don't use a pump timer by definition because the water is left continuously flowing through the system 24/7. Some growers still like to use timers in their NFT systems. For aeroponic systems true aeroponic system uses high water pressure to spray a fine mist (around 60-90 psi), and a true aeroponic systems use a special type of timer called a “cycle timer” that is designed to go on and off frequently, the timer is usually set to a specific “cycle.” As an example, it might only be set to go on for 30 seconds, but set to spray the roots every 5 minutes. So the cycle would be 30 seconds on, and 5 minutes off, cycling on and off all 24 hours a day like that. Most people use low pressure in their aeroponic systems. Mainly because it's much cheaper to use a low pressure pump. If your pump doesn’t have a psi rating, it's a low pressure pump. You still spray the roots with spray heads, however they are more like sprinkler heads, and the water droplet size is much larger because of the lower pressure. Although you can still use a cycle timer in a low pressure aeroponic system, a regular general purposes heavy duty light timer can work as well, as long as it has enough settings. Usually a timer with pins all the way around the dial, and with 15 minute on/off times. Then setting it for 15 min on and 15 off all day. Everybody’s situation is different, as well as the type of system their growing in, how they built the system, type of growing media their using, how much of it, type of plants their growing, their temperature and humidity levels etc. etc.. There are just to many variables to give a one size fits all answer to that question, other than a general rule of thumb. Most new growers tend to try and over-think how much to water their plants, and if they stick to the general rule of thumb (“long enough to get the roots wet, but not so long they suffocate”), they will be fine. That's why having a timer that gives you flexibility in your settings is beneficial. If the growing media and roots seem to be getting to dry between watering, increase the frequency that you water them. If they always seem to be very wet, cut back on your watering times and see what happens. You can always increase or decrease it again. Every grower will quickly learn what's best for their situation, type of system their growing in, growing media, etc., as well as develop their own preferences. Plants are highly adaptable, so don't over-think it. How often and how long to water is a good question, but has so many variables like air temperature, water temp, type of growing medium used, type of plants (do they mind wet feet), how big the plants are, humidity etc. etc. etc.. That there's simply no real straightforward answer, except to say the goal is to water long enough to get the roots (and growing medium) wet, but not so long that the roots suffocate from lack of air/oxygen. Also to water often enough that they never dry out. If you see sings of wilting they are either well past dry, or to wet and suffocating. Basically speaking, the roots just need enough moisture that they can absorb enough water to support the plants foliage. Bigger plants need more moisture (because they have a lot more foliage to support). Plants growing in dry conditions use more water than those growing in more humid conditions. Some growing medias hold moisture much better than others, thus don't need to be watered as often etc. etc. etc.. So just keep the growing media moist/damp. The water level of your hydroponic system will vary depending on the type of system your growing in, as well as the type of growing media your using. The type of growing media makes a difference because some will absorb and hold moisture better than others. In any hydroponic system the goal is to keep the roots moist, but not let the stem stay wet so the plant develops stem rot. With a flood and drain system where the water floods the plants container from the bottom, you generally want the water level to be about two inches below the top of the growing media when the system is flooded. If your using a growing media like rockwool that becomes saturated easily, you may want it even lower. Basically the very top of the growing media should be almost dry to avoid stem rot, but a couple inches down where the plants main root-ball is should be moist. NFT systems typically just run a continuous thin layer of water along the bottom of a trough or tube. Just a millimeter or two deep. But depending on how you set up your NFT system, type of plants, and if your using much growing media the, your water depth may vary. If the roots are able to wick up enough moisture to keep the growing media slightly moist, your fine. But if the the growing media is saturated, you may need to reduce the water flow through the tube/trough, or tilt it more to get the water to flow faster. Or even do something to keep the roots from blocking the water flow through the system. The water depth in a drip system isn’t really a concern because the water is supposed to drip/trickle down from the top of the growing media to the bottom of the plant container, then back to the reservoir. So when working properly, the water never actually builds up in the plants growing container, the water just moistens the growing media as it drips downward. 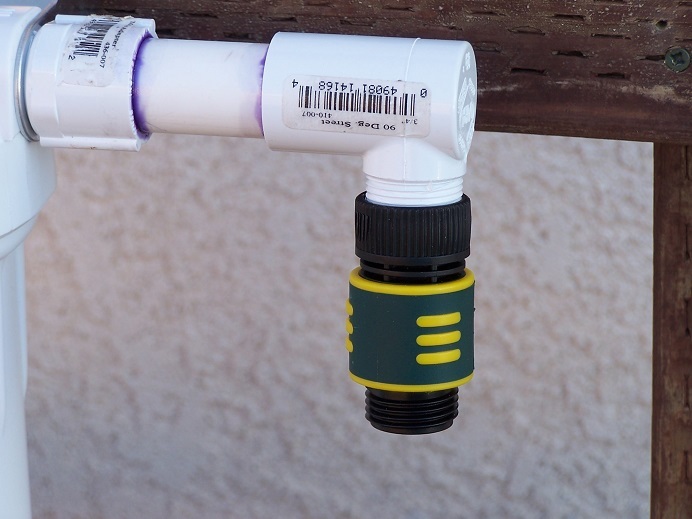 But depending on how you designed your drip system, and if the roots begin to clog your drain lines, you may get water pooling in the bottom of the plants container or even overflowing because it can't drain back properly. Make sure you check your drain lines regularly for clogging roots. Especially when they get big, and unclog them before the roots can build up to much. Just a quick disconnect from the container, then cut and poke through the opening is all that's needed. If your plants container is deep enough, an inch or so of water pooling in the bottom wont be a problem saturating the growing media. If your concerned about the growing media becoming saturated from pooling water, you can fill the bottom of the container with a couple of inches of river rock to aid drainage and keep it from touching the water in the bottom. In water culture systems the roots remain submerged under water 24/7, but not quite all of them. The baskets or cubes holding the plants are suspended above the water. Usually on floating Styrofoam rafts, or through holes in a stationary lid of a container. In either case you want the basket positioned so the growing medium can wick up a little moisture so it remains slightly moist, but wont become saturated. So the type of growing media makes a big difference. The splashing of the air bubbles as they break the surface of the water sprays little water droplets on the bottom of the baskets/grow cubes. If you have enough air bubbles going, that should be enough to keep the bottom of most types of growing media moist without actually touching the water. The underwater roots in water culture systems get oxygen from all the air bubbles from the air pump and air stones in two ways, that way they wont suffocate. Some of the fresh air bubbles will rise up through the roots as they rise to the top of the water, in doing so making direct contact with the roots as they do (the more the better). Also as the air bubbles rise, they transfer oxygen molecules directly into the water itself, called “dissolved oxygen” that the plants can absorb through roots as well. The water level in aeroponic systems doesn’t really apply. Basically because the roots are hanging in mid air, and are never actually submerged. The timing of how frequently you water the roots so they never have a chance to dry out is what's important in aeroponic systems. With wick systems the water level in the plants container doesn’t really apply, other than you always want the wick to be submerged in water. Moisture is wicked up into the plants growing container through a wick. Usually some type of felt fabric. The water never gets a chance to build up and saturate the growing media. But the moisture level in the growing media can be controlled. Simply by using a larger or smaller felt wick, or using more than one to get even more water to wick up. Also using a good moisture absorbing growing media like coco fiber or coco chips will aid in moisture retention in wick systems as well. Using the right size reservoir is very important to growing successfully in hydroponic systems. If your reservoir is to small, that could cause you a number of problems. So sizing a reservoir for the type of plants your growing, as well as how many your growing in your system is key. The general rule of thumb for smaller plants like lettuce or strawberry’s etc. 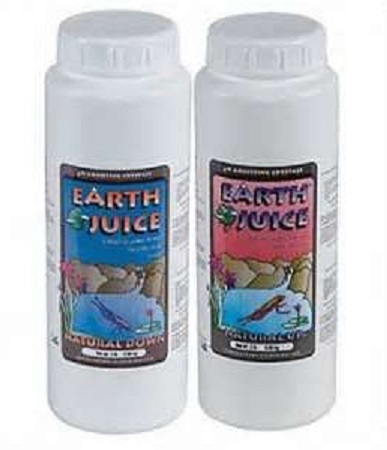 is a minimum of ½ gallon of nutrient solution per plant in the system. For larger mid range size plants like herbs or bush varieties of peppers etc., a minimum of 1 to 1.5 gallons of nutrient solution per plant in the system. And for large plants like tomato’s, larger varieties of peppers, melons, cucumbers, squash etc., a minimum of 2.5 gallons of nutrient solution per plant in the system. Now those are just minimum recommendations. We always try and double the minimum recommendations. You don't need to fill the reservoir all the way up while the plants are small, but you'll need the full water volume when the plants get bigger and begin to reach full size. Starting with a reservoir that will be big enough to begin with is much easier (and cheaper) than replacing one that is to small with a bigger one later. If your reservoir is to small for the plants as they get bigger, you'll wind up dealing with problems you don't need to. Problems like large pH swings, needing to replace water to your reservoir daily as the plants drink it up, constant nutrient concentration fluctuations, even temperature fluctuations. All of which can lead plant stress and deficiency’s. Save yourself the potential for a lot of headaches, and use a good quality filtered water from the beginning. Don't underestimate the importance of the water quality you use for your hydroponic systems, it can make a big difference in the health of your plants. Tap water, well water, stream water, rain water all have the potential for problems. 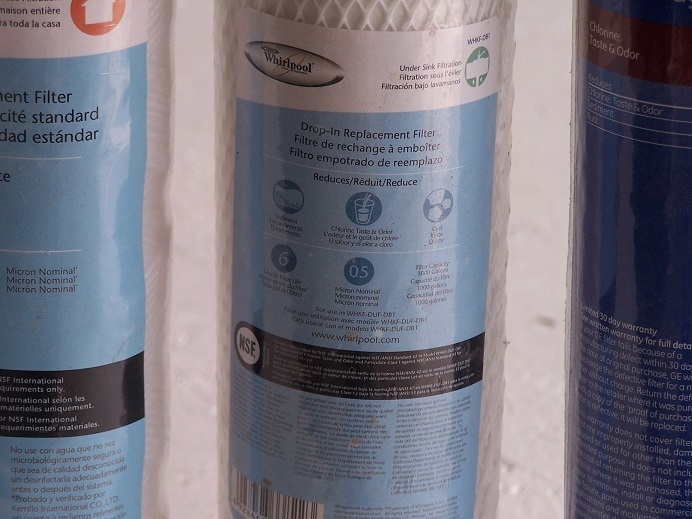 Even though water filtered through a water softener is basically pathogen and bacteria free, as well as most of the dissolved minerals have been taken out. It has trace amounts of salt (sodium chloride) that is toxic to plants, even in trace amounts. Some plants will tolerate it better than others, but the salt will build up in your hydroponic systems over time. Tap water can contain any number of chemicals, minerals, and even that can build up to toxic levels. It can even have pathogens and fungi spores in it. Using tap water cause many diseases, mineral toxicity, and wide pH swings. Rain water can contain all sorts of pathogens, bacteria, fungi, chemicals from smog, and even salt from places near the ocean. Well and stream water not only can contain all kinds of unwanted minerals, but it also can contain a ton of microorganisms, soil borne diseases, bacteria and fungi etc. that you could introduce to your plants. Once you do they can be just about impossible to get rid of. So do yourself a favor and start with a good quality filtered water to begin with. RO water would be the best choice. 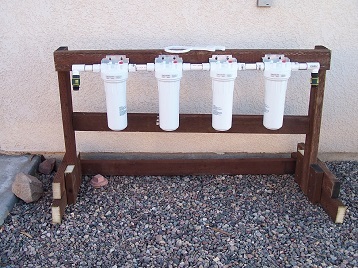 If you don't have a RO system, then invest in a good water filtration system. 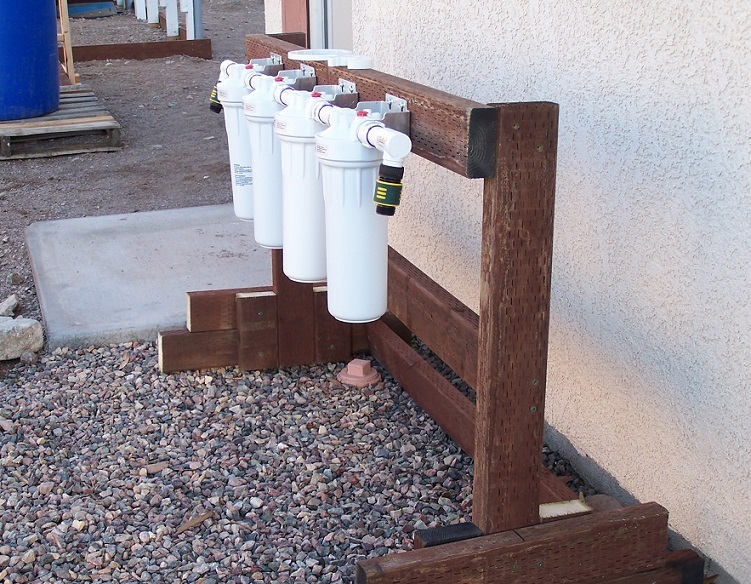 You can even build your own filtration system like we did using the water filter canisters that take replaceable filter cartridges. We even added quick connect couplers to make it quick and easy to connect to the hose when we needed it. If you do, make sure to have at least 3 filters. First, a sediment filter. Second, a activated charcoal filter, Third an "absolute one micron" filter (0.5 microns). 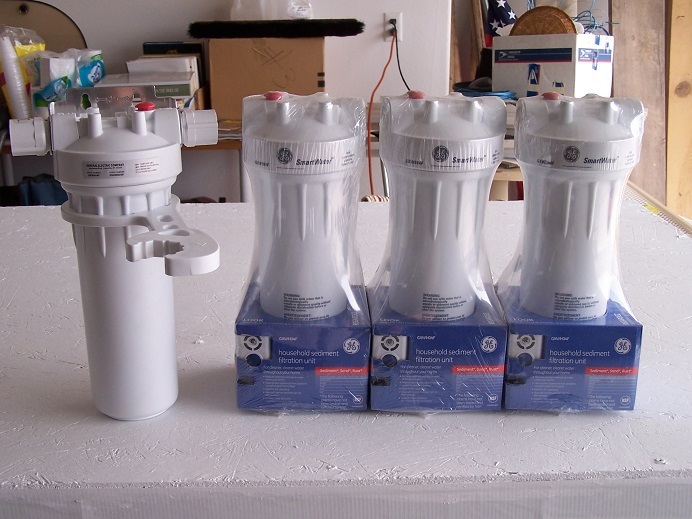 The better filters you use, the better your water quality will be. If you cant afford a filtration system, you can buy water from the machines at the grocery store. You don't know how often they change their filters and if they keep up the maintenance on them. But at least it went through a filtration system and better than the other options. If you cant grow your hydroponic plants in natural sunlight, you'll need artificial lighting to grow them. Electricity isn't free, so we try and use natural sunlight as much as possible. But if weather conditions, space issues etc.. prevent you from being able to do so, artificial lighting would be necessary. There are a wide variety of lighting available for hydroponic plants. Some being better for some plants, and other lighting better for others. But that's an entire subject all by itself, you can find out a lot more about artificial lighting types for hydroponics, as well as growing plants with them on our page lights for hydroponic plants. The nutrient solution is more than just a simple mix of elements in water that feed the root systems. It's also part of the environment for the root system (root zone). The root system environment is just as important as the above ground environment of the foliage, if not even more important. Along with the mineral elements, the nutrient solution will also contain microorganisms (both good and bad ones). They get in there both through the air, as well as from anything that has been placed in it that wasn't sterilized first, even from your hands. Microscopic microorganisms, bacteria, fungi spores etc. are on everything and in the air everywhere, and their just looking for a nice place to grow and multiply (like in your nutrient solution). The optimum water temperature is between 68 and 72 degrees Fahrenheit. That's optimum, if it's a little above or below that you should still be fine. When the water (and root zone) temperature gets in the low 80's and higher, Some negative things begin to happen. Pathogens (bad microorganisms) like and thrive in warm water, then they begin to outnumber the good ones. Bacteria and fungi thrive in warm water as well. Another problem with high water temps is the plant itself begins to suffer from heat stress, and generally abort fruiting just trying to stay alive. Also the higher the water temperature, the less of an ability the water itself has to hold onto dissolved oxygen molecules. The plant needs to absorb these oxygen molecules for plant growth, as well not to suffocate. Especially important in water culture systems where the roots are submerged in the nutrient solution 24/7. 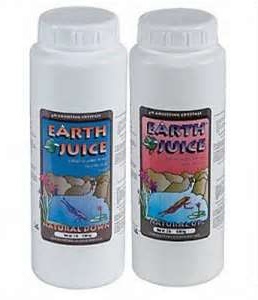 Using an aquarium air pump with the air stone in your nutrient solution can help in two ways. First it replaces the oxygen molecules that the plants absorb. The bigger the plant the more oxygen the plant absorb, and you can never get to much oxygen to the root systems. Second is that pathogens are reduced in the oxygen rich water, but beneficial microorganisms thrive. Low water temperatures aren't as bad for your plants, but will stunt and slow the plants growth. Once the temp gets in the 50's it will become noticeable, and in the 40's the plants growth gets really slow. If your water temps are getting to low, you can use an aquarium heater to warm it up. But make sure it doesn't come in contact with a plastic surface or it could melt a hole in it, also make sure it remains submerged all the time. If not, the glass can crack and break.